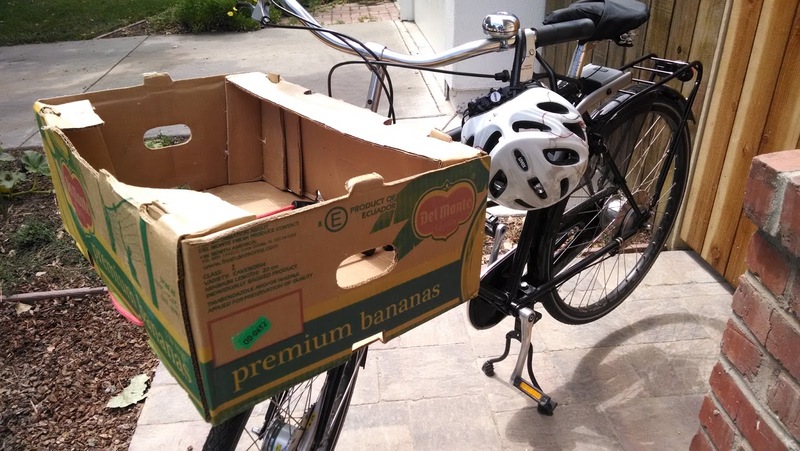 How do you haul things on a bike? 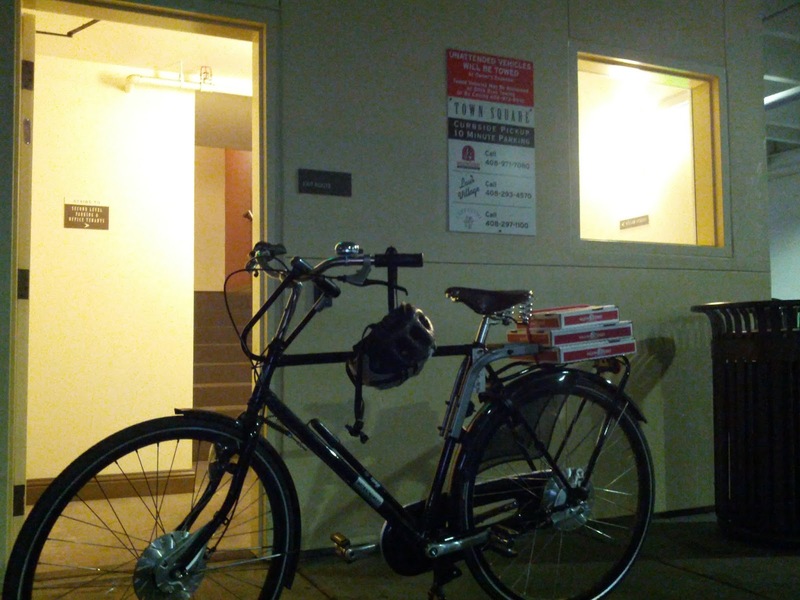 How do I haul things with a bike instead of a car? The quick-and-easy answer is a backpack, but for me that invariably results in a sweaty back so I try to avoid it. 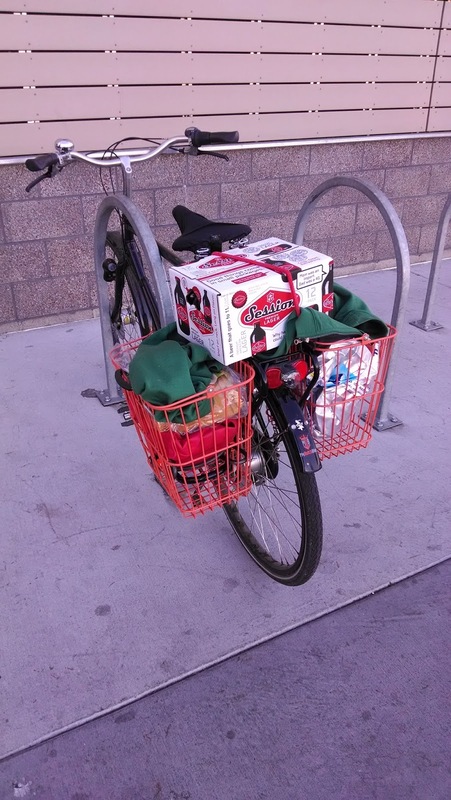 The first ingredient in the recipe for cargo-hauling greatness is a rack. 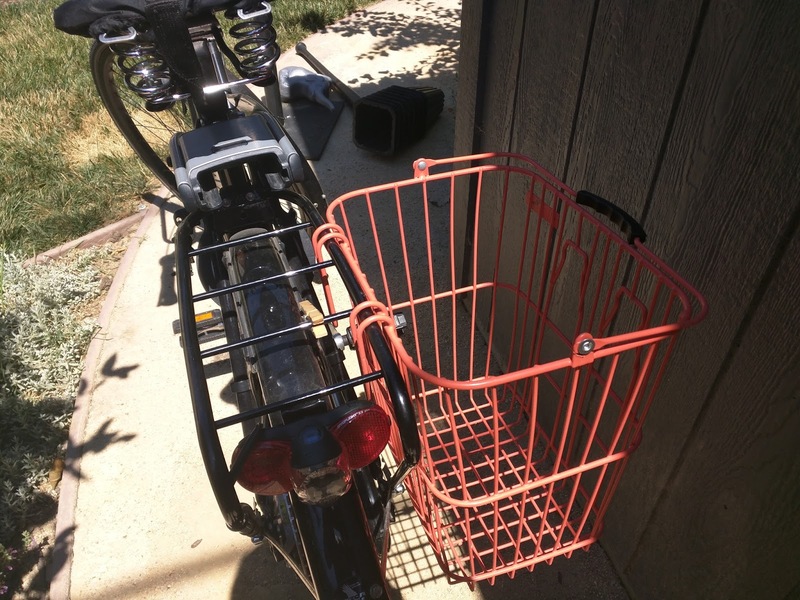 Next up, baskets or panniers to attach to the rack. 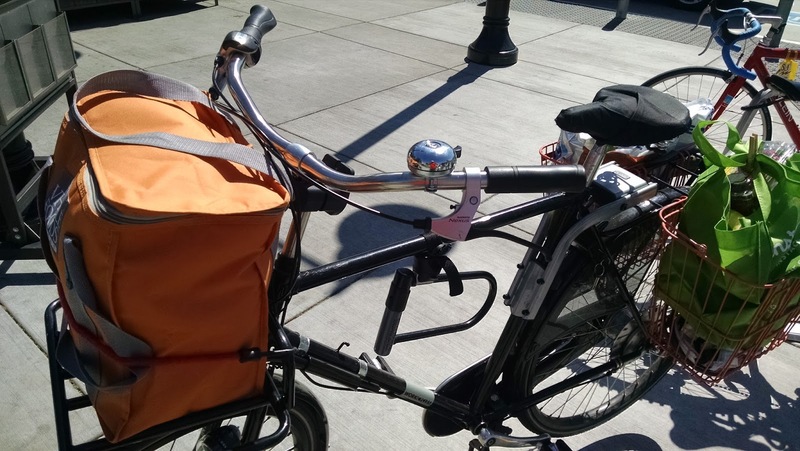 Combined with a bungee cord, strap, and other minor accessories it’s possible to haul quite a bit around town on a bike. I started out with small loads and easy going–bigger, bulkier things affect the handling of the bike and that took some getting used to. Front or rear, getting the cargo off your back is key to comfort. Big Haul at Whole Foods Blossom Hill. Bigger Haul at Whole Foods Downtown. The friendly folks at the meat counter gave me some ice in bags, so my cooler bag stayed cool on the ride back to Willow Glen. Two baskets on the back are jam packed.